In this new regular series we look at hot topics and try and start a debate. And it might be a little provocative. 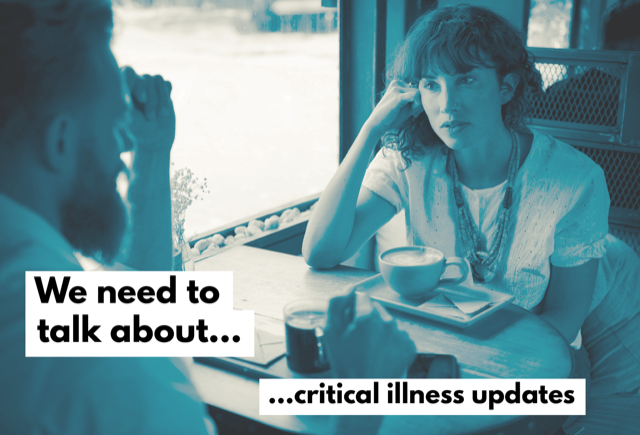 In the first of a new series of short comment pieces from the Protection Review team, we ask how often should critical illness policies be updated? We’ve noticed some companies updating their critical illness policies two, maybe three times, a year. They add extra conditions, partial payments and definition improvements. We never criticise product improvements. After all, adding a wider range of cover and improving definitions can only be good for customers. But we know these developments aren’t necessarily prompted by consumer demand. Very few customers know what critical illness policies are, let alone keep demanding that insurance companies improve them. Companies continually put out updated versions of critical illness cover to stay at the top of the comparison services. Or to generate news and give their sales force something new to talk about. And most importantly of all, to hopefully pay more claims. But they’re involved in a continuous battle to appear better than their competitors. Again, we would never criticise a company for wanting to compete or improve. But we do wonder how much extra work all the changes end up generating for advisers - and if insurers take this into consideration. Advisers need to learn and understand the new set of changes, sometimes 2-3 times a year across a dozen insurers, that's potentially 20-30 product changes a year for independent advisers, just on CI. If they’re in the middle of putting together a client proposal it might mean revisiting the recommendation. And what about clients already being underwritten? Do advisers need to revisit them and make them aware of the changes on offer. It takes time to arrange training sessions so should advisers cease recommending a product until they understand the new changes? Or continue to recommend without perhaps fully knowing what has changed? Of course, systems like CIExpert and F&TRC are becoming ever more important. In fact, the more changes there are the more important such systems become. And while updates certainly improve critical illness products, it can make them more complicated as well while also generating more work for advisers. Is the need to compete now forcing providers to update too many times? But do we need a debate about how many changes are reasonable - or is there no limit? And if we were to reach a situation where multiple insurers are updating their products monthly, for example, what are the implications and is that OK? Over to you! Let us know what you think.